The Tableau Large Sconce is a modern classic with its dynamic suspended glass shade. 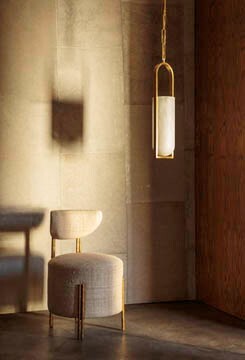 This sconce is available in Antique Burnished Brass, Bronze or Polished Nickel with either a clear or textural sandblasted glass and is rated for use in damp locations. Emulating the curves of the California coastline, the Avant Collection adds warmth and luxury to any setting. This wet-rated sconce is perfect for installation both indoors and out.